14- دراسة بعض الجوانب المناعية في مرض الفاشيولا الكبدية قبل وبعد العلاج بعقار الكوميفورا مولمول (ميرازيد) – قسم الأمراض المتوطنة بطب الأزهر بنات 2003. 13- “مقارنة بين أثر عقاري الكوميفورا مولمول (ميرازيد) والبرازيكوانتيل في علاج البلهارسيا البولية من خلال دراسة حقلية” – قسم الأمراض المتوطنة بطب الأزهر2003. 14- “دراسة طفيلية و مناعية لتقييم عقار الميرازيد في علاج البلهارسيا المانسونى النشطة” – قسم الأمراض المتوطنة بطب الأزهر2004. 1- “Hepatic histochemistry and electron microscopy of hamsters infected with S. mansoni and treated with praziquantel therapy” – A.M. El-Hawy, A.M. Massoud, N. El-Badrawy, A. El-Garem, A. Khalil, A. Metwally. – J Egypt Soc Parasitol. 1985 Jun; 15(1): 249-62. 2- “A clinico-parasitological and immunological studies on concomi-tant mansoniasis and filariasis in Egypt” – A.M. El-Hawy, S.A. Abou-Taleb, N.H. Mohamed, R.E. El-Saed and A.M. Massoud – J. Egypt Soc Parasitol., 1986; 16(1): 189-95. 3- “Histopathological changes in experimental schistosomiasis mansoni before and after praziquantel therapy” – A.M. El-Hawy, I.H. Yousef, S. El-Ebiary, A.M. Massoud. – J Egypt Soc parasitol; 1986 Jun; 16(1) : 117-126. 4- “Humoral immune response in bacterial meningitis” – A.M. El-Hawy, M.K. Makled and A. Massoud – Proceeding of Al-Azhar Second International Conference. Dec. 1987. 5- “The value of serum and ascitic lactate dehydrogenase (LDH) and gamma glutamyl transferase (GGT) in diagnosis of type of ascites” – A.M. El-Hawy, A. Massoud and I.K. Ali – Proceeding of Al-Azhar Second International Conference. Dec. 1987. 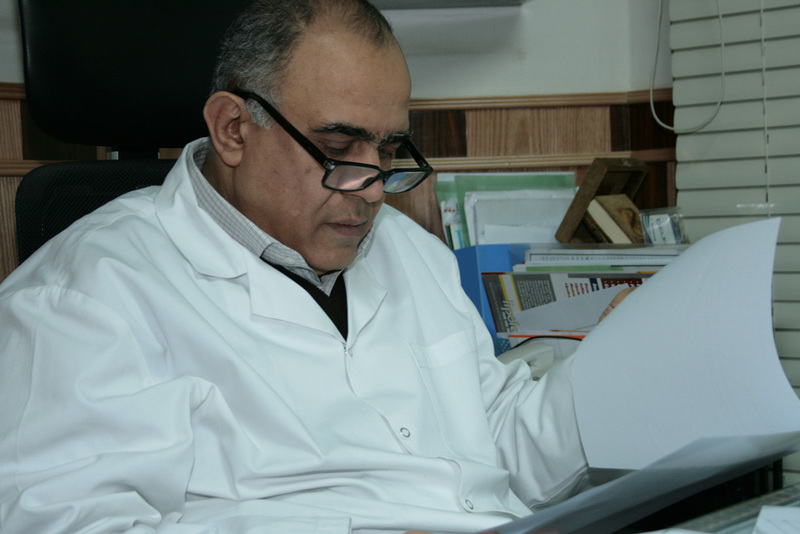 6- “Some immunological aspects in patients with acute typhoid fever” – A.M. El-Hawy, S.A. Abou-Taleb, S.M. Taha, A. Massoud and A- El-Rakiaby – Proceeding of Al-Azhar Second International Conference. Dec. 1987. 7- “A comparative study of serum fibrinogen degradation products in patients with recent bleeding oesophageal varices and those without bleeding oesophageal varices accompanied with bilharzial hepatosplenomegaly” – A.M. El-Hawy, A.A. Wahib, A.S. Ossman, A.M. Rauf, A.M. Massoud and K.M. Helwa – Al-Azhar Journal of Biomedical Sciences and therapeutics, 1987; 3(2): 1-10. 8- “Assessment of the response to typhoid vaccine, tetanus toxoid and combined typhoid and tetanus vaccine (T.A.B.T) in normal individuals”. – A.M. El-Hawy, A.A. Wahib, M. Safwat, S. El-Nasr, A.M. Massoud, M.S. Ibrahim and M.M. Abused-El-Rahman – J. Egypt Med Assoc 1988; 71(5-8) 301-16. 9- “Some immunological aspects in patients with acute typhoid fever” – A. El-Hawy, S. Abou-Taleb, S.K. Taha, A. Massoud – Al-Azhar J. Microbiol Dec 1988; 4: 24-34. 10- “Alpha-1 antitrypsin and electrolytes in some cases of diarrhoea” – A.M. El-Hawy, S.A. Abou-Taleb, A.M. Massoud and Y.H. Abdel-Khalek. – J. Egypt Soc Parasitol 1989; 19(1): 131-7. 11- “Bacterial flora in hepatic encephalopathy in bilharzial and non-bilharzial patients” – A.M. El-Hawy, A.M. Massoud, N. Badr El-Din, A. Wahib and S. Abd El-Hamid. – J, Egypt Soc parasitol. 1989; 19(2): 797-807 (supplement). 12- “Clinico-parasitological study on targeted treatment of schistosomiasis.” Field study I – A.M. El-Hawy, A.El-Rakaiby, A. Massoud, M.S. Rozik and O. Nassar – J. Egypt Med Assoc 1990; 73(5-8): 225-64. 13- “Clinico-parasitological study on targeted treatment of schistoso-miasis field study II.” – A.M. El-Hawy, A. El-Rakaiby, A. Massoud, M.S. Rozik and O. Nassar – J. Egypt Med Assoc 1990; 73(5-8) 265-72. 14- “Socioeconomic impacts of human schistosomiasis (II) Relationships of schistosomiasis to socioeconomic characteristics of two Egyptian rural communities” – El-Hawy, A.M. Wahib, A.A., Negm, I., Gad-Alla, F., El-Rakiaby, A., Massoud, A.M.; – and Abou-Taleb, S.A. – The Egypt J of Community Medicine, 1990; 7(2): 95-109. 15- “Histological and histochemical studies on the effect of colchicine on the liver of the albino rat” – Samir N. Ibrahim, Mona G. Galal, Ahmed M. Massoud and Esam A. El-Sady – Scientific Medical Journal Sponsored by Cairo Medical Syndicate. 1990; 2(4): 1-16. 16- “Side effects of Praziquantel in bilharzial children on a field level” – A.M. El-Hawy, A.M. Massoud, A. El-Rakaiby, M.S. Rozik and M.O. Nassar. – J Egypt Soc parasitol 1990; 20(2): 599-605. 17- “Propofol (Diprivan) sedation for oesophageal sclerotherapy” – M. Kamel Fouad, A.M. Massoud – Egyptian Journal of Anaesthesia. 1992; 8(1): 143-151. 18- “Upper endoscopic changes and colonization of the gastric mucosa by helicobacter pylori in schistosomal portal hypertension” – Mohamed Azab Abdel Hafez, Said A. Abou-Taleb, Ahmed A. Massoud and Osama A. Nassar. – The Journal of the Egyptian Medical Association 1992; 75(1-6): 155-166. 19- “Contact thermography study of porto-systemic collaterals of anterior abdominal wall in cases with portal hypertension” – A.A. Abou-Madyan, Z.A. Salama, M. Abd El-Rahman and A.M. Massoud – The New Egyptian Journal of Medicine. 1993; 8(1): 429-436. 20- “Field study for detection of hepatic derangement caused by schistosomiasis mansoni and pesticide exposure” – El-Hawy, A.M. Amr M., M., Massoud, A.M. and Amer, M.M. – The New Journal of Medicine 1993; 8(1): 212-225. 21- “Socio-economic impacts of human schistosomiasis (V). Physical work capacity of Egyptian villagers with S. haematobium and S. mansoni” – Ahmed M. El-Hawy, Ahmed A. El-Garem, Ahmed A. Massoud, Abdel Aziz M. El-Rakaiby, Fawzy R. Gadalla, Mohamed M. Abdel-Rahman and Mohamed S. Rozik – The Egyptian J. Of Community Medicine, 1993; 11(9) : 71-80. 22- “Serum and Cerebrospinal fluid cortisol and ACTH levels in patients with tuberculosis meningitis” – El-Hawy, A.M., Massoud, A.M., Rozik, Abdel-Rahman, A. H., Amer, M.M., Ali, A.K., Girgis, N. and Mansour, M.M. – The new Egyptian Journal of Medicine, 1994; 10(6): 3176-3179. 23- “Study of some biochemical and hormonal changes in complicated and non-complicated cases of tuberculous meningitis” – El-Hawy, A.M., Massoud, A.M., Rozik, M.S., Abdel-Rahman, A.H., Amer, M.M., Ali, A.K., Girgis, N. and Mansour, M.M., – The New Egyptian Journal of Medicine, 1994; 10(6): 2864-2872. 24- “Evaluation of viral hepatitis therapy” – M.A. Refaat, A.T. Hussein, I.A. Ibrahim, M.S. Ibrahim, M.G. Gumie, N. Abdel-Rahman, and A.M. Massoud. – The New Egyptian Journal of Medicine. 1994; 10(6): 1472-1482. 25- “Ultrastructural changes of the kidney and liver of albino rats under the effect of Licid.” – Mohamed K. Tawfik, Ahmed M. Massoud and Nahed H. Kanra. – The Scientific Jourhnal of Al-Azhar Medicine Faculty (Girls) 1994; 15(2): 813-824. 26- “The effect of colchicine on the liver of albino rat after ethanol administration” – Esam, A. El-Sady, Mona G. Galal, Ahmed M. Massoud, Naglaa, M. Abou Rabia and Nagwa, M. El-Shakaa – The Scientific Journal of Al-Azhar Medical Faculty (Girls), 1994; 15(2): 753-762. 27- “Prevalence of serum antibodies against German measles (Rubella) and HBs Ag in the Egyptian pregnant women and their neonates” – Ahmed M. El-Hawy, Mohamed M. Sherif, Ahmed A. Massoud, Osama A. Nassar, Abdalla A. Agina, Saleh, A. El-Ibiary and Saied A. Abou-Taleb. – The Scientific Journal of Al-Azhar Medical Faculty (Girls), 1994; 15(2) suppl. : 561-565. 28- “Prevalence of parasitic infestations and their haematological and immunological effects among the newly attending soldiers at El-Amn El-Markazy Camps, Cairo”. – Wahib, A.A., Massoud A.M., Nassar, O.M., Ruzik, M.S., Abdel-Rahman A.H. and Amer M.M. – The Scientific Journal of Al-Azhar Medical Faculty (Girls). 1994; 15(2): 825-833. 29- “Evaluation of some hemostatic parameters in chronic liver diseases with bleeding oesophageal varices”. – Ahmed A. Massoud, Osama, A. Nassar, Abd-Allah A. Agina, Saleh A. El-Ibiary and Hanaa Naser. – The scientific Journal of Al-Azhar Medical Faculty (Girls), 1994; 15(2) suppl. : 567-572. 30- “Histopathological and ultrastructural changes of the spleen in hepatosplenic schistosomiasis”. – El-Hawy, A.M., Wahib, A.A., Nassar, A.M., Massoud, A.M., Aldel-Rahman, A. H. and Rozik, M.S. – The Scientific Journal of Al-Azhar Medical Faculty (Girls), 1994; 15(2) suppl. : 745-752. 31- “Cancer antigen 19-9 (CA-19-9) in benign and malignant and liver diseases”. – Ahmed M.A. Massoud, Ali Khalifa, Osama, A. Nassar, Adel, A. Soliman, Saleh, A. El-Ibiary and Abdalla, A. Agina. – The new Egyptian Journal of Medicine. 1994; 11(1): 162-167. 32- “Effect of schistosoma mansoni infection on non-granulomatous areas of mouse intestine”. – Azza, A. El-Kadery, Ahmed M. Massoud, Maher, M., Omara, Mona, M. Galal. – The New Egyptian Journal of Medicine – 1994; 11(1): 115-121. 33- “Effect of schistosomiasis on mental abilities among adult students”. – El-Hawy, A.M., El-Akabawy, A.S., Wahib, A.A., Massoud, A.M., Rozik, M.S., Abdel-Rahman, A.H. and Amer, M.M. – The New Egyptian Journal of Midicine 1994; 11(1): 109-114. 34- “Risk of hepatitis “E” virus infection among some schistosomiasis patients in Egypt”. – Mohamed M. Abdel-Rahman, Ahmed M. Massoud, Moomena A. Kamel, Abdel Hamid A. Sabry and Gamal N. Ahmed. – J Egypt Soc Parasitol. 1995; 25(1): 115-123. 35- “Efficacy of endoscopic variceal ligation (EVL) in active bleeding from oesophageal varices”. – Ahmed M. Massoud, Mohie-Eldin M. Amer and Samia Massoud. – The New Egyptian Journal of Medicine, 1995; 12(1): 123-125. 36- “Experimental studies demonstrating the anti-schistosomal activity of Myrrh; Commiphora molmol”. – Massoud A., Gallal M. and Bennett, JL – J. Trop. Med. Hyg. 1996; 55(2) Suppl.,: 233-234. 37- “Efficacy, Toxicity and Side Effects of a new anti-schistosomal drug derived from Myrrh” – Massoud A., Salama O. and Bennett, JL – J. Trop. Med. Hyg. 1997; 57(3) Suppl.,: 244. 38- “Therapeutic efficacy of a new schistosomicidal drug derived from Myrrh in active intestinal schistosomiasis complicated with hepatosplenomegaly”. – Massoud A., Salama, O., and Bennett, JL – Reprinted from proceeding of the 9th international congress of parasitology (ICOPA IX) Makuhari Messe, Chiba, Japan, edt. Monduzzi Editora. SPA Bolonga (Italy) 1998; 619-623. 39- “Efficacy of “Myrrh” As a new schistosomicide; an experimental study”. Massoud A. – Ain Shams Medical Journal. 1999a; 50(10, 11, 12): 1287-1298. 40- “Myrrh; a schistosomicide for human schistosomiasis haematobium”. – Massoud, A. – Ain Shams Medical Journal. 1999b; 50(10, 11, 12): 1383-1400. 41- “Myrrh; a schistosomicide for human schistosomiasis mansoni”. – Massoud, A. – Ain Shams Medical Journal. 1999c; 50(10, 11, 12): 1401-1417. 42- “Pilot study of a new fascioloicdal drug; Myrrh” – Y. El-Gohary, A. Massoud, M. Helmi, M. Kassem, A. Abdo, A. Hanno and O. Salam – Alexandria Medical Journal. 1999; 41(1): 12-27. 43- “Scintigraphic study of gastric emptying time in patients with liver cirrhosis”. – A.M. El-Rakiaby, A.M. Massoud, A.M. Saleh, R.H. Mansour, A.G.El-Sheiaty, Y.A. Hashem and M.A. Bekheet. – Sc. J. Az. Med. Fac. (Girls), 1999; 20(2): 739-751. 44- “Larvicidal activity of Commiphora molmol against culex pipiens and Aedes caspins larvae”. – Massoud, A. and Labib, I.M. – J. Egypt Soc. Parasitol. 2000; 30(1): 101-117. 45- “Laboratory studies on the molluscicidal and cercaricidal activities of Commiphora molmol”. – Massoud A., Fawzy, S.M. ; Salama, O.M. – Egypt. J. Aquat. Biol. & Fish. 2000; 4(2): 251-266. 46- “Hematological, chromosomal and teratogenic studies of a new schistosomicidal agent derived from Myrrh”. – Massoud, A., El-Ashmawy, A.M., Hemeda S.A. and Salama, O.M. – Alex. J. Pharm. Sci. 2000; 14(1): 61-68. 47- “Mirazid: a new schistosomicidal drug”. – F. Badria, G. Abou-Mohamed, A. El-Mowafy, A. Massoud and O. Salama. Pharmaceutical biology 2001; 39(2): 127-131. 48- “Biochemical changes of Culex pipiens larvae treated with oil and oleo-resin extracts of Myrrh (Commiphora molmol).” – A.M. Massoud, Iman M. Labib and Magda Rady. J. Egypt Soc parasitol. 2001; 31(2): 517-529. 49- “Preliminary study of therapeutic efficacy of a new fasciolicidal drug derived from Commiphora molmol (Myrrh)” – Ahmed Massoud, Swsan El-Sisi, Osama salama and Afaf Massoud. – Am. J. Trop. Med. Hyg., 2001, 65(2): 96-99. 50- “A field survey of helminthic parasites in a rural area in Dakahlia governorate”A. El-Gilany, S.M. Matawea, A. Massoud, A. El-Shazly and M. Gab-Allah. – Journal of Environmental Sciences. 2001; 21: 1-30. 51- “An epidemiological study of fascioliasis in a rural area in Dakahlia Governorate”. – S.M. Matawea, A. El-Gilany, A. Massoud, H. Rizk, A. El-Shazly and M. Gaballah. Journal of Environmental Sciences. 2001; 21: 31-62. 52- “Effectiveness and safety of a new cestodicidal herbal drug”. – A. Massoud, A. El-Gilany, S.M. Motawea, A. El-Shazly and M. Gaballah. – Journal of Environmental Sciences, 2001; 21: 105-120. 53- “Mirazid, a new herbal treatment highly effective against intestinal nematodes. A study carried out under field conditions in rural Egypt.” – A. Massoud, S.M. Motawea, A.El-Gilany, A. El-Shazly, A. Sitten and M. Gaballah. – Journal of Environmental sciences, 2001; 21: 121-138. 54- “Does Mirazid have a hetrophyicidal activity?”. – A. Massoud, A. El-Gilany, S.M. Motawea, A. El-Shazly, O. Salama and M. Gaballah. – Journal of Environmental sciences, 2001, 21: 139-152. 55- “Preliminary study of the molluscicidal action of Myrrh”. – A.M. El-Shazly, S.M. Motawea, A. El-Gilany, O. Salama, Massoud and M. Gaballah. – Journal of environmental sciences. 2001; 21: 153-162. 56- “A safe, effective, herbal antischistosomal therapy derived from Myrrh” -Zaki Sheir, Amira A. Nasr, Ahmed Massoud, Osama Salama, Gamal A. Badra, Hassan El-Shennawy, Nabil Hassan and Sabry, M. Hammad. – J. Trop. Med. Hyg. 2001; 65(6): 700-704. 62- “Three dimensional Sonography and hepatobiliary problems” – Nevine Ibrahim, Ahmed Massoud and Saad Motawea – Egypt. Journal of Radiology & Nuc. Med., 2003; 34(4): 1913-1928. 63- “Comparison between the efficacy of Myrrh and Diclazuril as an anticoccidial drugs on performance of broiler” – Ahmed Massoud, Ibrahim El Ashmawy, Hani Ellakany and Osama Salama – Proc. The 1st. Intern. Conf. Vet. Res. Div., NRC, Cairo, Egypt, February 15-17th, 2004. 64- “Effect of Myrrh Extract on the Liver of Normal and Bilharzially Infected Mice. An Ultrastructural Study” – Ahmed Massoud, Faika H. El Ebiary and Nevert F. Abd El Salam – Egypt. Soc. Parasitol, 2004; 34 (1): 1-21. 65- “Study of some immune aspects in patients with fascioliasis before and after Commiphora molmol (Mirazid) treatment.” – Ahmed Massoud; El -Kholy, N.; El-Shennawy, F. and Farag, R. – Egypt. Soc. Parasitol.,2004; 34(1): 315-332. 66- “Evaluation of Myrrh (Mirazid) therapy in fascioliasis and intestinal schistosomiasis in children: immunological and parasitological study” – Othman E. Soliman, Mohammed E;-Arman, Elham R. Abdul-Samie, Hosam I. El-Nemr and Ahmed Massoud – Egypt. Soc. Parasitol., 2004; 34 (3): 941-966. 69- “Evaluation of Gastrointestinal Tract (GIT) in Egyptian Patients with Iron Deficiency Anemia (IDA) Without Symptoms or Signs by Using Upper and Lower GIT Endoscopy” – Ahmed Massoud, Mohie-Eldin M. Amer, Nader F. Mostafa, Sobhy A. Ismail, Mohamed H. El-Nadry and Yehia K. Badawy – AAMJ, Vol. 3, N. 2, April, 2005: 42-51. 70- “Acaricidal Efficacy of Myrrh (Commiphora Molmol) on the Fowl Tick Argas Persicus (Acari: ARGAsidae)” – Ahmed Massoud, M.A. Kutkat, Sobhy Abdel-Shafy, Rabab M. El-Khateeb and Iman M. Labib. – Egypt. Soc. Parasitol., 2005; 35 (2) : 667 – 686. 71- “Light Microscopic Study of the Effect of New Antischistosmal Drug (Myrrh Extract) on the Liver of Mice.” – Ahmed Massoud, Faika H. El-Ebiary and Suzi H. Ibrahim – Egypt. Soc. Parasitol., 2005; 35 (3) : 971 – 988. 72- “Effect of Mirazid (Commiphora Molmol) on Experimental Heterophyidiasis” – Fouad M. Fathy, Osama Salama and Ahmed Massoud – Egypt. Soc. Parasitol., 2005; 35 (3) : 1037 – 1050. 74- “Mirazid (Commiphora molmol) in treatment of human heterophyiasis”- Ahmed M.Massoud, Atef M.El-Shazly and Tosson A.Morsy – J. Egypt. Soc. Parasitol., 37 (2), 2007: 359-410. 75- “Mirazid in treatment of human hymenolepiasis” – Ahmed M.Massoud, Atef M.El-Shazly and Tosson A.Morsy – J. Egypt. Soc. Parasitol., 37 (3), 2007: 863 – 876.